**NOTE: Each athlete must demonstrate mastery of current class curriculum prior to enrolling in the next level class. In this class the focus is core fundamentals and building the strength needed to complete the skills for both recreational and competitive athletes. 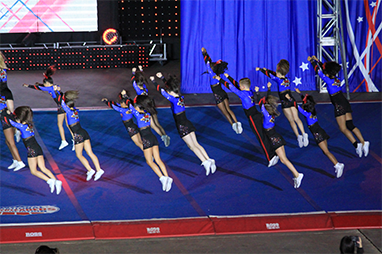 The curriculum for these athletes to master are the following: back walkover, front walkover, standing and running backhand spring series, combination series front/back walkover to back hand spring, introduction to tuck drills. If an athlete is pursuing competitive cheer they will be required to connect jump series to back handspring. In this class your athlete will be working on flipping in the air along with more challenging series of combination tumbling. 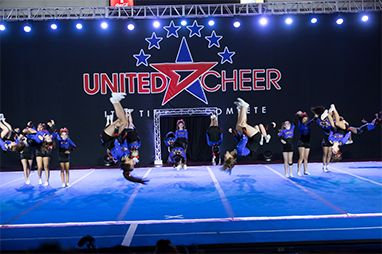 The curriculum for these athletes to master are the following: back extension rolls, standing tuck, combine round off back handspring to a tuck, punch front to round-off back handspring tuck, introduction of layout drills, and mastering layouts. If an athlete is pursuing competitive cheer they will be required to connect jump series to a tuck. In this class your athlete will be introduced to specialty tumbling skills and learning to twist in the air while flipping. The curriculum for these athletes to master are the following: whips, punch front arabians, layout steps outs, introduction of full drills, and mastery of a full.